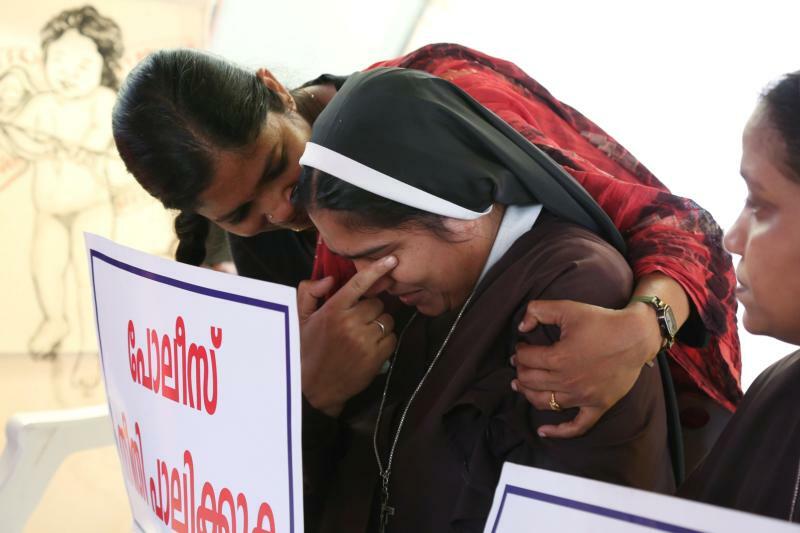 VATICAN CITY (CNS) — The International Union of Superiors General has called on women religious who have suffered abuse to come forward and report it to their congregations and church and state authorities. “If the UISG receives a report of abuse, we will be a listening presence and help the person to have the courage to bring the complaint to the appropriate organizations,” it added in a statement published on its website Nov. 23. “Abuse in all forms: sexual, verbal, emotional or any inappropriate use of power within a relationship, diminishes the dignity and healthy development of the person who is victimized,” it added. “We advocate for transparent civil and criminal reporting of abuse whether within religious congregations, at the parish or diocesan levels, or in any public arena,” it said. “We commit ourselves to work with the church and civil authorities to help those abused to heal the past through a process of accompaniment, of seeking justice, and investing in prevention of abuse through collaborative formation and education programs for children, and for women and men,” it said. Representatives of the UISG had been invited along with the men’s Union of Superiors General, presidents of bishops’ conferences and others to a February summit called by Pope Francis to address the protection of minors and vulnerable people. The nun had made numerous complaints, including to the Vatican, but claimed she had gotten no church response to her allegations at the time. Pope Francis accepted the bishop’s request to be relieved of his duties Sept. 20. She had said many women and nuns suffer clerical abuse. Silence and inaction on the part of church officials to stem clerical abuse will have a “very adverse effect” on women and result in the church losing its credibility, she said.